Embracing the philosophy of “unity beyond time”, Kiswah Jewellery derives inspiration from cultural and artistic treasures of 4000 years of civilization. 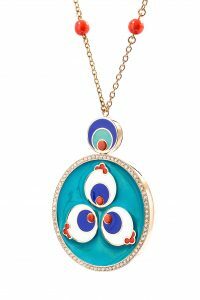 The artworks of palaces, the traditions of the Seljuks, and the colour scheme of the dynasty of Suleiman the Magnificent have found new meanings in their jewellery designs. Kiswah Jewellery works with academicians and hundreds of books on culture and art prior to their design process to ensure their creations are historically correct; the brand is a result of a desire to preserve our cultural values. Each creation tells a story from the past and brings a different perspective to the industry by having spiritual value. Kiswah’s vision can be summed up as ‘making our civilization’s wonderful stories last through the use of jewellery and art objects made with unique craftsmanship’. It is inspired by rituals of gift-giving in Central Asia, the artworks of modern typographists, the colour scheme during the reign of Suleiman the Magnificent, and the meanings behind motifs of traditional calligraphy. Art forms which have shaped the aesthetic understanding of humankind throughout history such as calligraphy, miniatures, mosaics, stained glass, marbling, tiles and ‘kündakari’ are being revived through Kiswah’s designs. 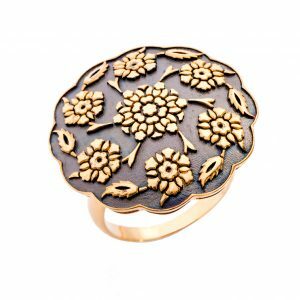 The brand uses various materials such as diamonds, ebony, gold, silver, rubies, emeralds, tortoise shell for their designs. They also apply techniques such as carving, glass enamels, wood-working and many others. Kiswah Jewellery, which brings out its collections considering the cultural and artistic development periods of civilizations, brings together the richness of civilization with jewellery through 7 collections. All focus on creating jewellery with deep meaning and cultural value.